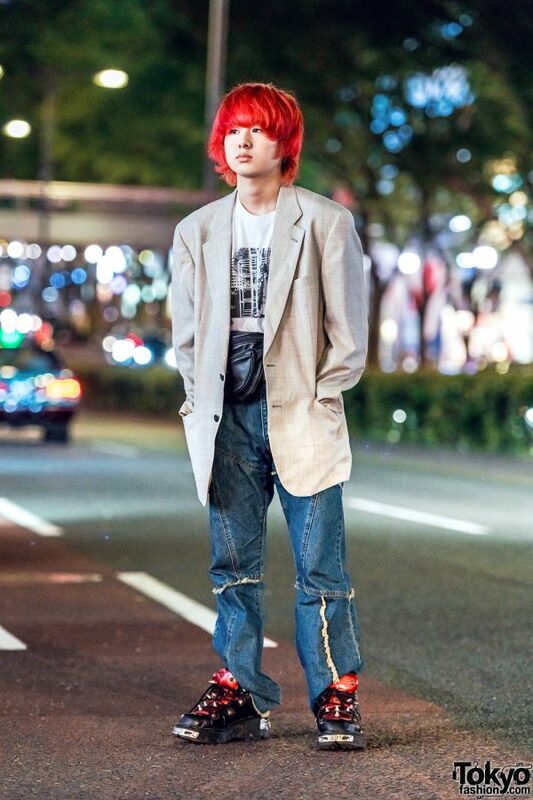 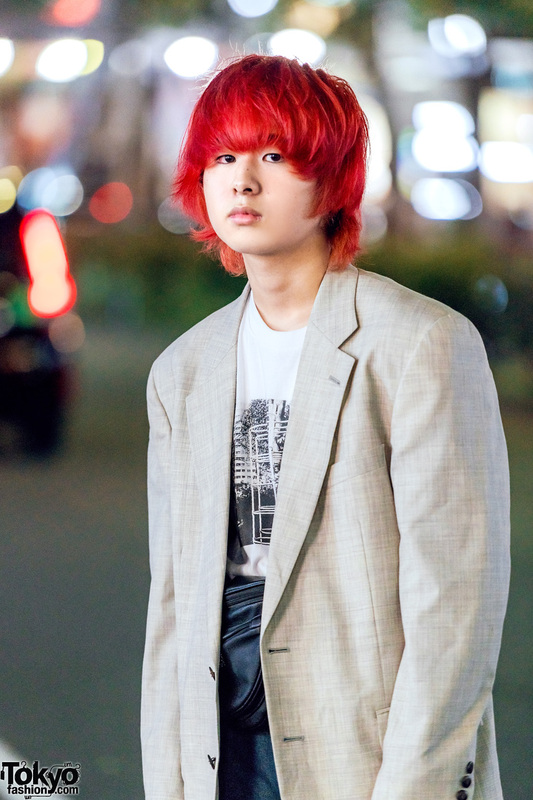 While on an outing on the streets of Harajuku one evening, we came across Taira, the red-haired student who is a familiar face on the streetwear scene. 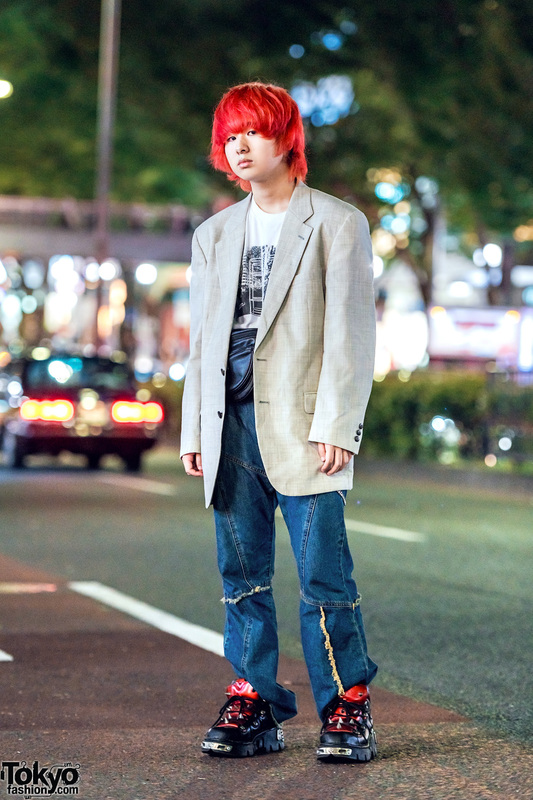 This time, Taira is dressed in an oversized tan linen blazer from Valentino, which he paired with a white Nogizaka band t-shirt with monochrome print. 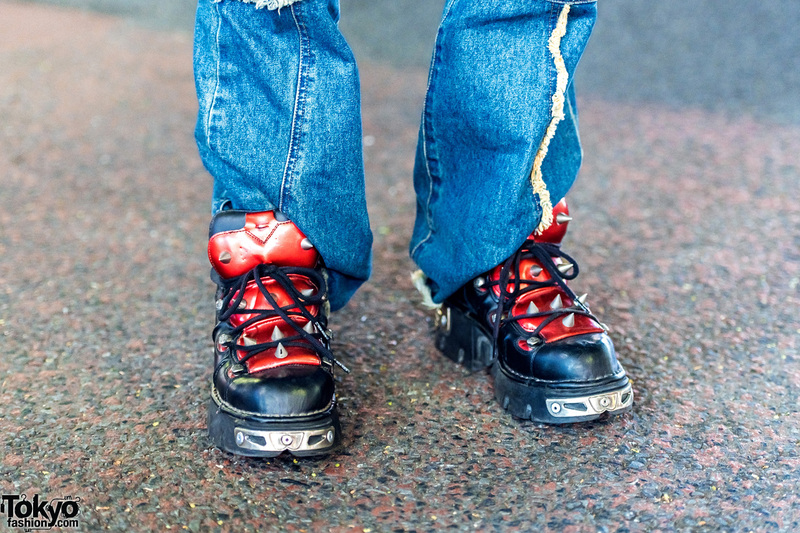 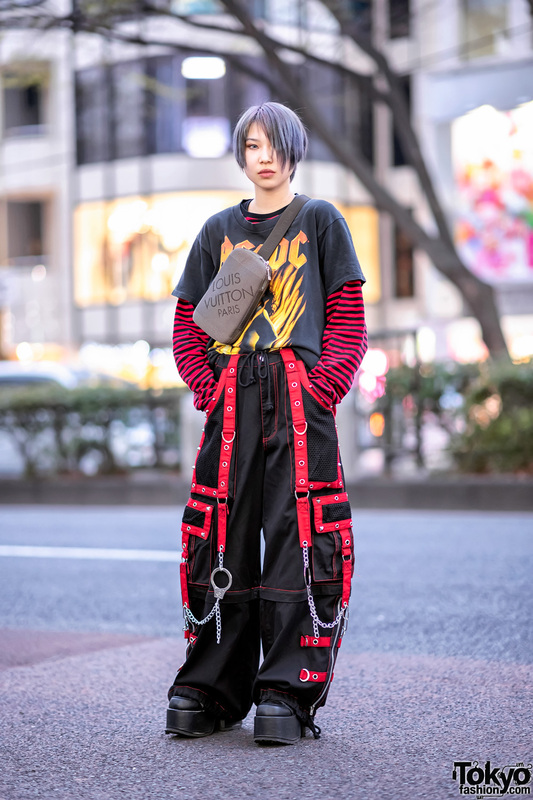 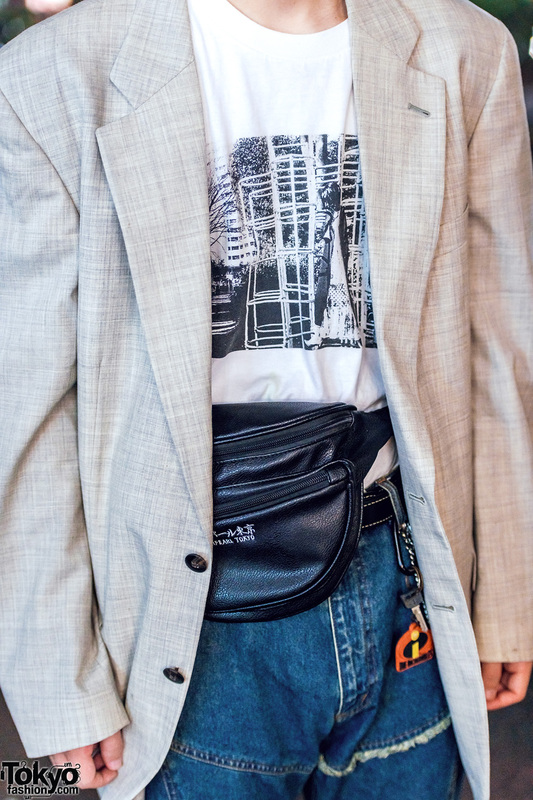 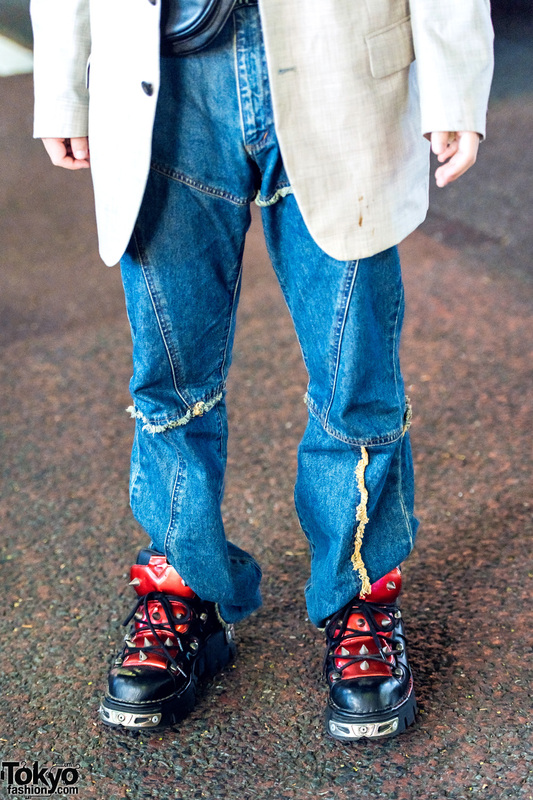 Resale denim pants with contrast fringes, black-and-red spiked sneakers from New Rock, and a black Oh Pearl Tokyo waist bag rounded out his ensemble. 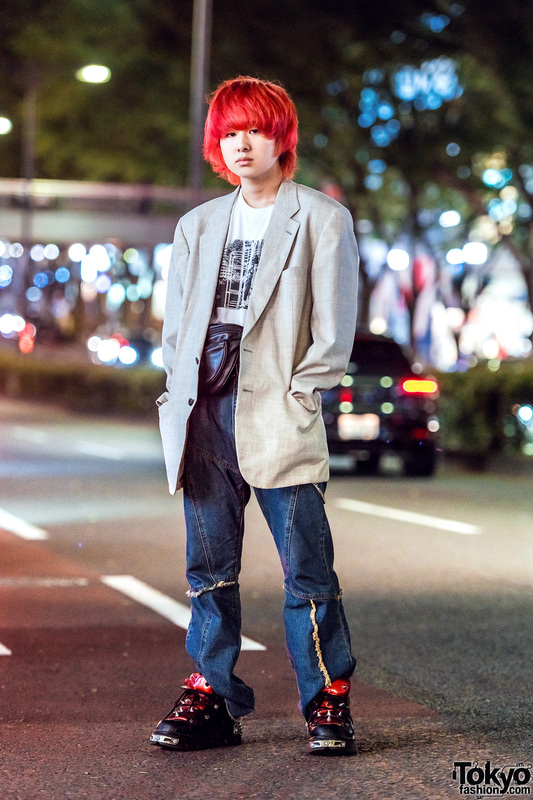 For more of Taira’s streetwear styles, check him out on Instagram.